Whether your dog is highly active or your cat enjoys the chance to explore, pet containment systems are needed to prevent them from wandering where they don't belong. Thankfully, Invisible Fence of Newtown in Connecticut has the answer. Professional pet training with an invisible fence will let your pet play outside while staying safe from harm. Their invisible fence systems are based on digital frequencies, which are broadcast through a control panel installed in a central location, such as your garage. A cable is buried around the perimeter of your property, or any other areas that pose a safety risk, creating an unseen boundary for your pet. The control panel interacts with the cable to form a signal field. The key to this radio-controlled invisible fence system is the computer collar. 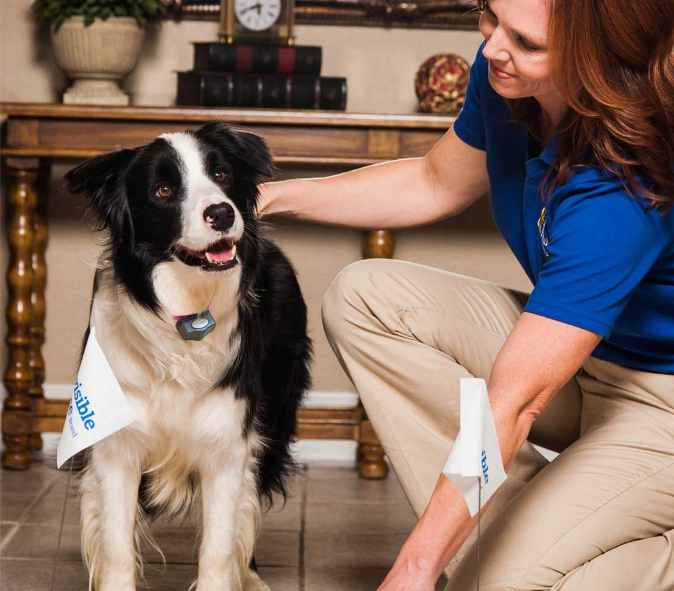 When placed on your pet, the collar will be able to detect when it has entered the signal field. An audible warning tone will sound when they reach that point, and white flags will provide a visual cue of the boundary. If your dog or cat continues to move, they'll receive a gentle static correction, which can be customized to the right level for your pet. An invisible fence is both effective and humane as a protective solution for your home. Along with attentive and compassionate professional pet training, your furry friend will quickly learn where they can and can't play. Soon enough, they won't need the boundary flags or the static to remind them where the edge of the yard is. For the best pet containment systems and professional pet training in Connecticut, choose Invisible Fence of Newtown. You can learn more about how the invisible fence works when you visit their website, or go ahead and schedule your free consultation today by calling (888) 429-2421.